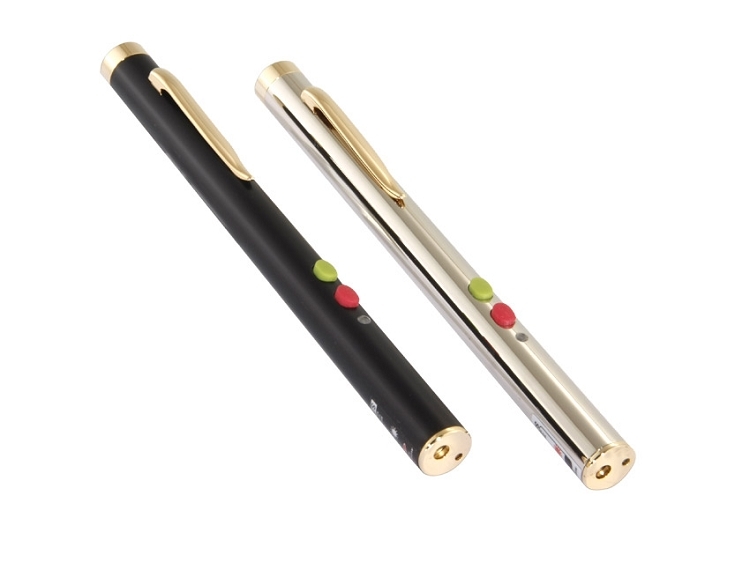 The BTG-7 is a multi-color, dual switch red & green laser pointer. Great for presentations & briefings! Z-Bolt® Certified Power (green diode); green nylon lanyard & accessory end cap; gift case. Includes an IR filter for eye and office safety. The Z-Bolt® BTG-7 is dual use, and includes not one (1) but two (2) laser pointer diodes. Choose red or green laser output - includes LED power on indicator. 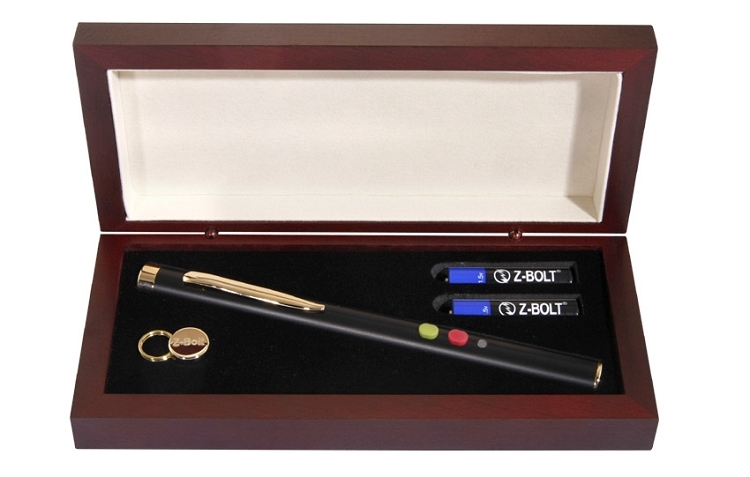 Ships in stained hardwood gift case; choice of jet black or mirrored chrome & brass tube finish. 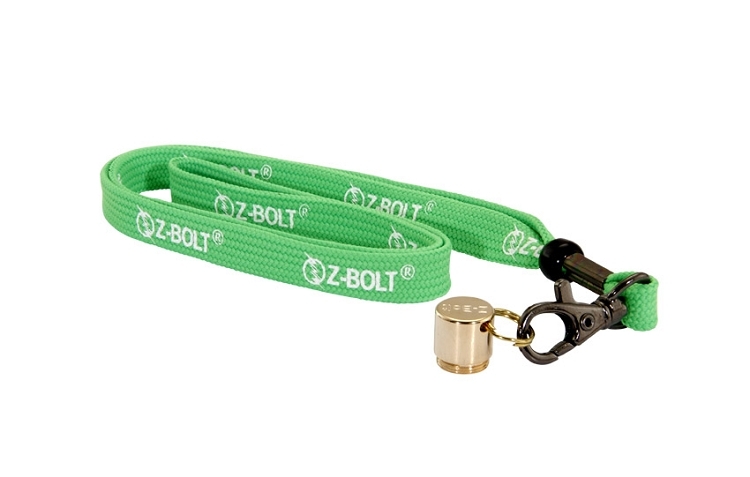 Z-Bolt® lanyard and lanyard accessory end cap included. The BTG-7 features guaranteed Z-Bolt® Certified Power for the brightest possible daylight dot; most visible nighttime beam. 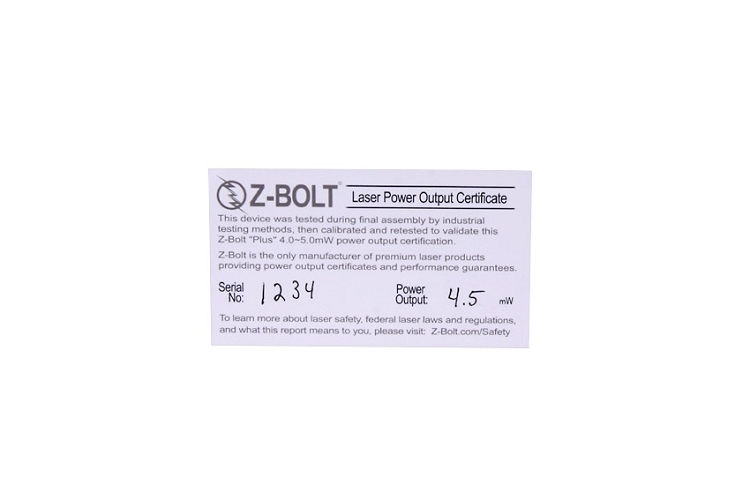 (green diode only) Each Z-Bolt® Certified Power green laser pointer is factory tuned & calibrated, then tested & certified on a laser power meter. These Certified Power units are rated at 4.0 to 5.0 mW power output and are 2 to 3 times brighter than standard Class IIIa units - all ship with our exclusive Laser Power Output Certificates. The BTG-7 includes our special APC control circuit and includes an IR filter for eye and office safety. (green diode only) This computerized APC diode drive circuit features "Automatic Power Control". The advanced circuit is based on a photo diode feedback loop. The photo diode monitors the optical output and provides a control signal for the laser diode, helping to maintain the diode operation at a constant optical output level. The circuit adds to the lifetime of the laser, prevents overheating, and provides overall power output stability & efficiency.